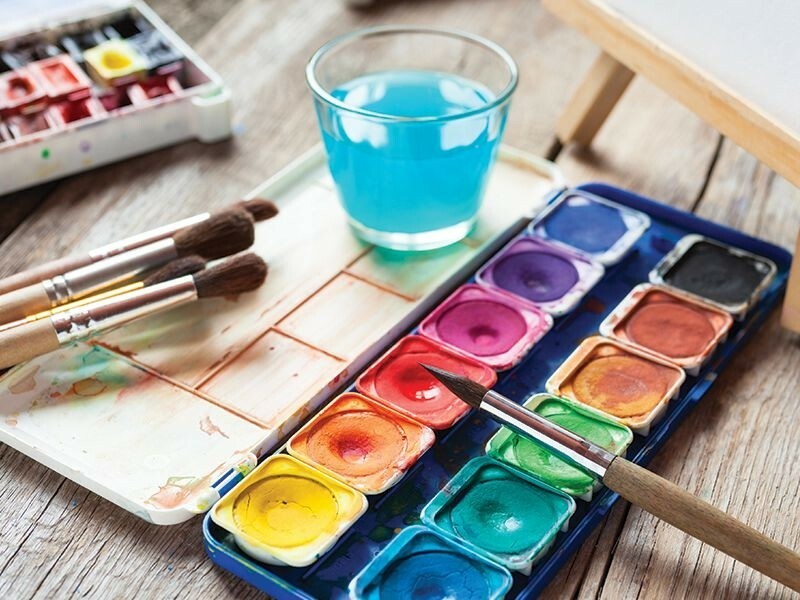 Dive Into Watercolors Gallery 93 at the Brookline Senior Center presents “Group Meditation,” an exhibit by watercolor artist Shirley Selhub running Jan. 3 through Feb. 28. A reception for the artist will be held on Tuesday, Jan. 9, from 4 to 6 p.m. Born in Cleveland, Selhub lived in Jerusalem and Chicago before moving to Brookline in 1987. After retiring from a career as an administrator, she earned a certificate in gerontology at UMass Boston. She helped establish Discovering What’s Next, an all-volunteer program based in the Newton Free Library, to help seniors get the most from retirement. Gallery 93, located at 93 Winchester Street, Brookline, is open from 8:30 a.m. to 5:00 p.m., Monday through Friday. For more information, call 617-730-2760. Circle of Friends Coffeehouse presents Danielle Miraglia singing the blues with special guests Open Book on Jan. 6 at 8 p.m. Tickets are $20. Miraglia performs an infectious stomp-box rhythm and harmonica with tunes ranging from heart-felt to socially conscious, with traces of inspiration from the Rolling Stones, Prince, and Janis Joplin. The Circle of Friends Coffeehouse is located at the First Universalist Society, 262 Chestnut St., Franklin. Doors open at 7:30 p.m. For tickets or more information, call 508-528-2541 or go to circlefolk.org. New Year’s Fun Friends of the Oxbow National Wildlife Refuge offers a New Year’s Day walk on Monday, Jan. 1, from 12 noon to 2 p.m. The walk begins at the Oxbow parking lot at Still River Depot Road in Harvard. For more information call 978-897-7567. Verrill Farm welcomes the New Year with a Post-holiday Pancake Breakfast on Saturday, Jan. 6, from 9 a.m. to 12 noon. The ticket price of $8.50 for adults, $4.50 for kids under 10 includes a hearty breakfast of pancakes, Massachusetts maple syrup, bacon or sausage, juice and milk or coffee as well as entry into a raffle for a Verrill Farm BBQ Dinner for four. No reservations necessary. Verrill Farm is located at 11 Wheeler Rd., Concord. For more information, call 978-369-4494 or go to verrillfarm.com. The Wayland Winter Farmers’ Market begins its ninth season on Saturday, Jan. 6. More than 100 vendors will participate during the 10-week season. Special events days include Farm Fiber Days on Jan. 27 and Feb. 24; Massachusetts Farm Wineries Day on Feb. 10; and New England Cheese Day on March 3. Workshops, cooking demonstrations, and author appearances are scheduled throughout the 10 weeks. Enjoy breakfast or lunch while you browse. The market takes place every Saturday from 10 a.m. to 2 p.m. through March 10 at Russell’s Garden Center, 397 Boston Post Road, Wayland.